All of us have something in common – we have competitors. And sometimes, how will we beat them and create a competitive advantage is our biggest concern. I talked with several professionals and experienced CEOs and CMOs in their industries. All of them shared their valuable insights about how their created competitive advantage and scaled their business among a bunch of competitors. 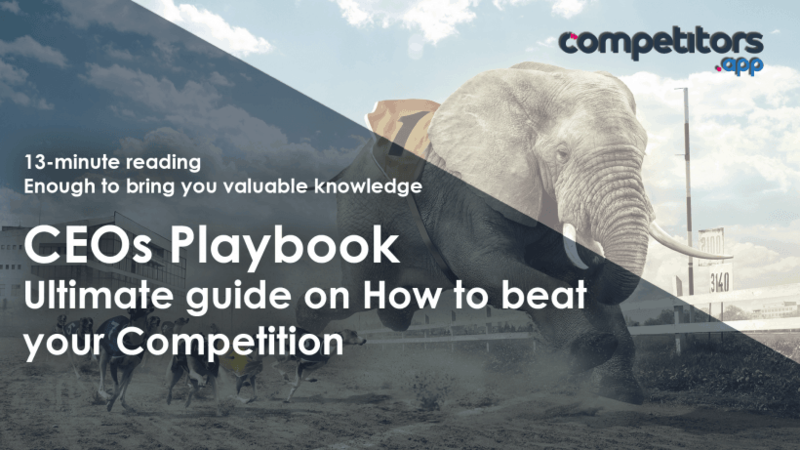 Together with our experience, this article represents an ultimate guide on competitive advantages – what are them and how to use them to beat your competition. First things first – How to do your competitive research. Before you even think about creating competitive advantages, it’s time to do your competitive research. Competitive research is a must, and there are various ways how to do it efficiently. Because this isn’t the main topic of this article, we will just cover the most important steps. No matter whether you are starting a new business or already have established one, every second day some new direct or indirect competitor is born. So competitive research is a renewable process, and you should do it at least every second week. The best ways to find new competitors is to try with keywords research. Social Media Networks URLs – How are they, for the God sake, communicating with their customers? What content are they creating? Distribution channels – How are they finding the new customers? Core Value propositions – What are the main differences between them and you? What are their Core Value propositions, and how my product/service can be more useful to my customers than theirs? The number of employees, headquarters, stage and the size of the investment – This helps you to understand how big their resources are, and you can imagine for what are they capable of. For this, you can use our Ultimate Competitor Analysis spreadsheet to be sure that you didn’t miss any information about your competitors (By the way, it will save you a lot of time and make organization easy). In Reportz we use multiple tools and techniques to monitor and out-perform particular clients’ competitor activities such as social behaviour, paid efforts metrics and SEO/SEM stats. Without good competitive advantages, we will never get our market share. So it’s really important to understand what competitive advantage actually is. We have two companies specialized in “connecting people in the world”. The first company is older and it already has some relatively big customer base. The second one is new but promising and more interesting. The second company had more features and it was actually really entertaining, while the first company wasn’t. They actually really empowered people to connect with each other and to make relationships. Later, the second company got funding and created a monopoly over the market. You probably know about which companies I’m talking about – they are MySpace and Facebook. 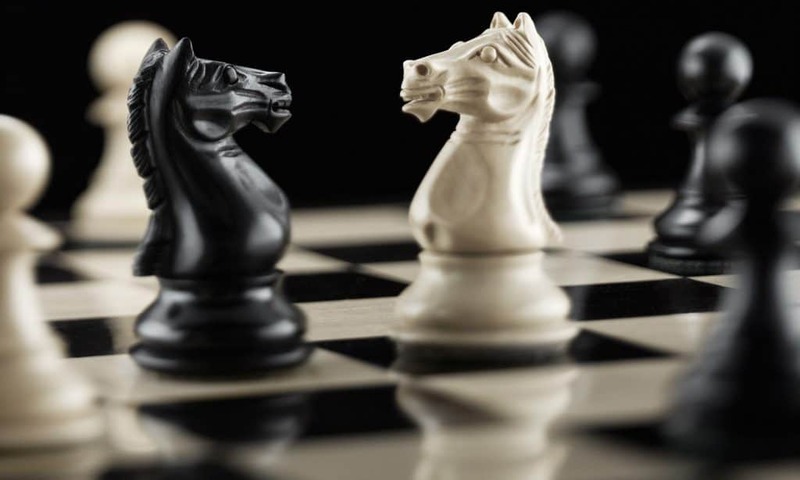 So, competitive advantage is anything which can help you to outmanoeuvre your competition. It can be price, unique value proposition, better product, better communication or better marketing and sales. In the case of Facebook – It was a better story. A story that really empowered people to take actions. Today people do not follow brands and logos. They are following stories. They identify themselves with the stories of other brands. Coca-Cola is a great example: Their competitive advantage is based on empowering people to take actions with various marketing campaigns who are alluding to happiness, love, relationship and friendship. Nike is another great example with a perfect storytelling (Especially with their campaign with Colin Kaepernick). “Content is a key. I’m consistently creating and offering free valuable learning for people looking to set up their social media. It helped me to grow my business immensely. Don’t be afraid to tell stories. 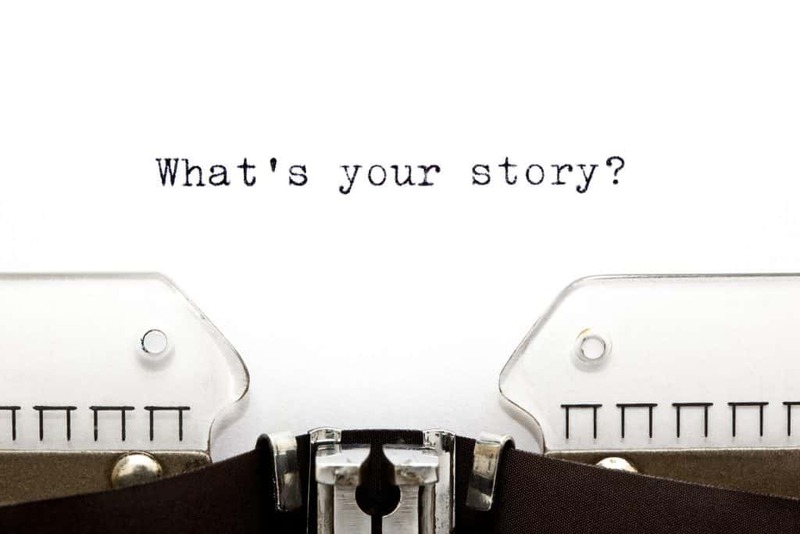 Explain to your potential customers what drives you and why are you doing what are you doing. What’s your idea, mission and vision. 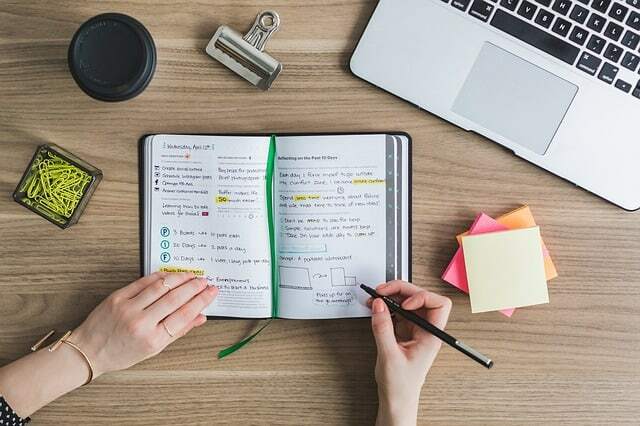 Research your target audience and find out what are their main problems and create an engaging content with a lot of useful information and resources based on your potential customers’ problems. One thing matters more than a content itself – it’s distribution. Prepare your content in different formats – Instagram post, Instagram stories, Facebook posts, etc. Distribute your content on Guest blog posts, your blog, Quora, Medium, Reedit, etc. Sometimes everything which matters is creating a good relationship with your users. “Any feedback tool is a competitor of Feedier. But that’s okay. Feedback is a huge market and the so-called surveys are just a part of it. We want to create our own crusade where focusing on the feedback and the user is what matters the most. So gamification, experience and rewards are what’s important to create competitive advantages in the overcrowded industry. – Feedier is built from scratch to engage your customers. Our technology knows whether the customer is happy or not and therefore we can provide the right engagement to the right user. Asking 5-star reviews only to customers being at least 80% satisfied for example. – Feedier adapts the questions to the customer. Thanks to the first step we know whether the customer is happy or not and why. We can, therefore, adopt the question to any customer based on that. The experience is unique! – Feedier aims to create a relation between your team, your customers and your products. – Feedier makes it easy for you to share your surveys to the right customers. We will send the emails for you, write your social posts and even let you embed them right into your website. “Listening, listening and listening. Value creation is a constant, ongoing art. From their practices, we can find out that building a loyal customer base and good user experiences help you to create good competitive advantages. Sometimes is not easy to compete with big companies and dinosaurs. It can be hard, with much efforts and money invested in order to get low results. Sometimes, the best solution is to be specialized in one – two unique things. The best example for this is Trello. Trello managed to create an industry monopoly over the much bigger competitor – Astana – by focusing only on one thing. “We’re focused on giving a constant value, daily, on one side. We’re present in communities, everywhere where our customers are. On the other side, our focus is on delivering results in conversions and leads. When our customer is getting profit, then he has enough to pay us and everybody’s happy. On the other hand, we’re organizing the 1st online conference in the ExYu countries focused on conversions and marketing automation while creating a platform for marketing automation and pioneering website personalization. Sometimes, building a good brand is everything you need. But this process is long and hard. Building a good brand is easiest to do with building communities. Communities are one of the greatest things humanity ever invented! By building a community, we can share more value and knowledge with our potential customers. If you don’t want or don’t have time to build your own community, sometimes is enough to be an active participant in the existing one. “We’re standing by a ‘Go the extra mile’ approach, so we aim to always offer some extra insights besides our main service lines. Apart from this, we also get involved in the community and create networking spaces both for people in our industry and the local startup environment. Sometimes solving problems with big pain is everything that you need. If your potential customers find out your product very useful which provide them value, they will buy it. Simply as that. Creating competitive advantages isn’t easy – but it’s necessary in order to create the monopoly in some industry. Competition never sleeps, that’s the reason why you shouldn’t too. Claim your 30-day free trial of Competitors App, and be one step ahead of your competition even today! Competitive research. Why it’s so important and how to do it. Soo, come on my dear Sherlock, let’s make some research! (At least, you can be a real detective for a few hours! 😉 ). Carefully planned and executed competitive research may save your business. What also matters, is what to do with that data after. Based on the data you find, you can monitor them, and find the holes in their strategies, which can be essential for you. Doing competitive research is not an easy thing to do. It can sometimes be very time-consuming. But, if you plan everything carefully, you can do it in a few hours. If you already don’t know who your competitors are, try typing 10 – 20 main keywords for your industry in Google. For the beginning, just wrote on the piece of paper the names of your competitors. When you have done that, now it’s time for the hell spreadsheets! Finding names of your competitors isn’t the only thing you should do. But, it’s the beginning. Core Value propositions – What’s the main differences between them and me? What are their Core Value propositions, and how my product/service can be more useful to my customers than theirs? 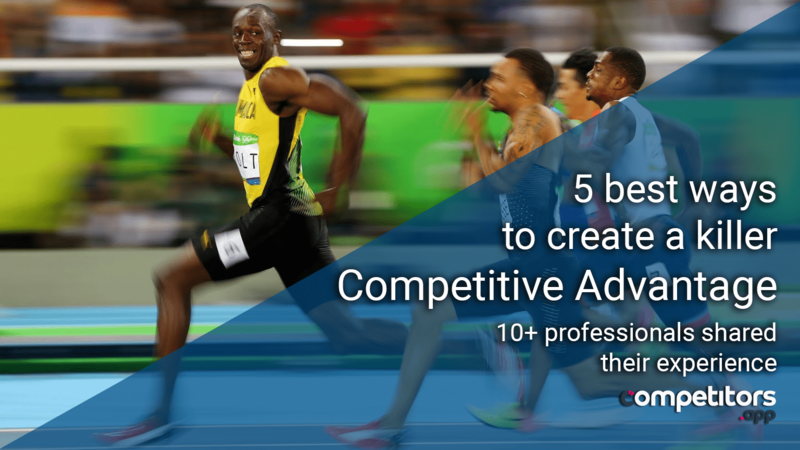 For this process, you will need about 1 – 3 hours, based on the number of your competitors. What also matters in competitive research is organization! We have prepared for you a complete Ultimate Competitor Analysis Spreadsheet! Everything you will need, you can find in one place – in one spreadsheet! 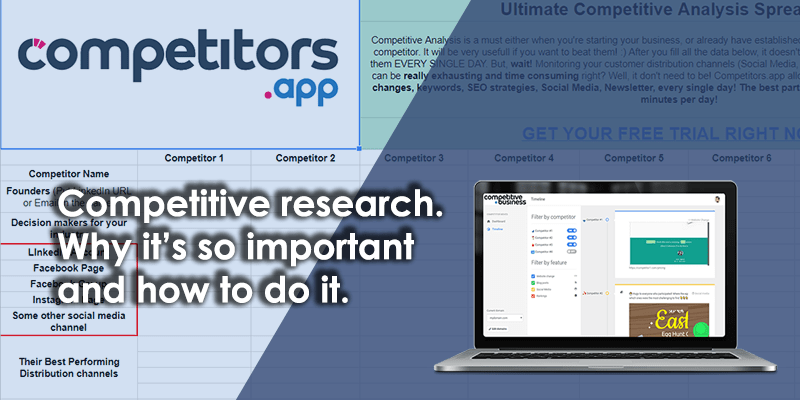 Here you can download for free your ULTIMATE COMPETITOR ANALYSIS SPREADSHEET! Like every founder, you want to be the best on the market. You want to hold the monopoly over some product or service. But, you’re always leading battles with your competitors. What if I say to you, that you can be, almost all the time, one step ahead of your competition? Don’t you believe me? Well, yes you can, and I will show you how! Yes, you can do that. There are various software’s which allow you to do this. But, before we dig into every step how you can do that, let’s first explain why it’s so important. Your Competitor can change his homepage call to action button from “Register here” to “Start your free trial now, no credit card required”. He can also change his meta <title> and <h1> to target a different keyword. This information is very valuable for you because you can easily find out what’s your competitor strategy. Competitors App is a competition monitoring tool, which allows you to monitor competitors website changes every single day. The best part of it – it’s all automatic. Everything you will need to do (except to insert your competitor names at the beginning), is to read the data every day. That is not more than 3 minutes per day. After you create your competitors.app account and insert your competitors, the app will automatically start to inform you about their newest website changes. Also, competitors.app will monitor them every day, and whenever some new change become visible, you will be informed – both in your app dashboard and in your email inbox (So, sometimes you even don’t need to log in to your account). Monitoring your competitor social media is very important. Reason? That’s the place where we communicate with our customers, share content, and very often – that’s the place where we find the new customers. If you carefully monitor your competitor social media marketing and strategies, you can be one step ahead of them. You can see what content are they publishing, so you can see and write better, interesting and trending articles. How are they treating their customers, how are they rewarding them, and what’s their relationship with them. If you monitor your competitors’ Social Media Pages very well, you can see what posts performed very well, and you can inform your team to work better with previous knowledge. Monitoring competitors’ Social Media can be very hard and time-consuming. Sometimes, you will need to waste hours and hours on manually monitoring them. Use competitors.app for tracking your competitors’ social media channels. Grab here your free 30-day trial Competitors App account, with no credit card required! How to recapture your competitor customers? Once you have found out your biggest competitors data, and while you are monitoring them on every single step on the web, it’s time for you to beat them! With monitoring, you can find out what your competitors’ strategies are. You can be one step ahead of them. The next step is: Interview your competitors’ customers. Reach to them through your competitor social media pages. You can pick 15 – 20 people, or you can scrape your competitor follower base, and make a bulk email. What are your biggest pains about [the problem]? Are you using [competitor product/service]? What would you change in [competitor product/service]? Once you have answers to the questions above, you can create more personalized content and marketing strategies with solutions to their biggest problems. Let’s face it, today’s competitive landscape is fierce. Every aspect of a business is getting harder, and the costs associated with keeping ahead of the competition isn’t going down any time soon. Yet despite the challenges that await you in the digital market, focusing on data-driven and creative ways to carve out a competitive edge can help propel your business to the finish line faster and more efficiently than the rest. This brief overview will provide you with the broad strokes of how you can go about identifying and capitalizing on this edge. In order to achieve a competitive edge, you must first gain a broad and deep understanding of the strengths and weaknesses of your competition. Keep in mind that this is a cursory step and not yet an in-depth analysis of the aforementioned. The overall objective at this stage is to identify how your offerings address the needs/wants/concerns of your target market more effectively than those of the competition. You may find that in some areas you are lacking where they excel. This is ok, and is worth noting when uncovered, as an area of opportunity for further exploration later on. For example, if your overall objective is an increase in growth, sales and market share, your focus should be on uncovering the marketing and sales strategies of your competition, and then evaluating which strategies appear to be effective. Bear in mind that not all the data you need to make a scientific conclusion will be available to you (short of corporate espionage…which we neither recommend nor condone), but through the use of ingenuity and third-party tools and technology such as those available at Competitors App, you can track and uncover your competition’s every public move. During this stage, one of the best ways to uncover these strategies is to put yourself in the shoes of the consumer or target market. Ask yourself, what would someone looking to purchase these types of products or services do to make an informed purchase decision. Data and information collected in the aforementioned step can be used to analyze what seems to be effective versus what is not. Perhaps you found that the competition launched a native display campaign for six months, resulting in what appears to be a NET loss. Conversely, you may find that a strong SEO push has increased their rankings and traffic significantly over the last year. Based on the outcome of your analysis, you should have identified strategic insights into how your efforts, campaigns and other initiatives stack up to the competition. This information can be used to make intelligent, data-driven decisions that can help propel your company ahead of the competition and give your brand the competitive edge it needs to thrive in today’s market. We hope you found this brief introduction into competitive analysis and gaining a “leg up” on the competition useful. If you would like to learn more about how we can help provide the insight and data you need to get ahead, don’t hesitate to reach out. Keywords, they’re the crux of any good search marketing campaign. There is almost an art and a science to picking the right keywords. One way to really supercharge your keyword strategy, apart from scrolling through recommendations via Google’s Keyword Planner, is to check out your competition. Using your competitors’ keywords for some, ahem, inspiration, is a great way to discover ones that you’ve never used or been recommended before. But where do you start? If you’re a time-poor marketer or business leader, you might not want to spend hours trawling the Internet for good keywords. But don’t panic, as we’ve come up with a list of some handy tools you can use to discover your competitors’ keywords. First things first, if you’re going to be researching your competitors’ keywords you’re going to have to find yourself some competitors! Check out our handy blog here, on how to identify your competition. After you know who they are, you’re going to have to find the highest ranking competitors who are worth researching. Alexa is a great tool to determine how much traffic your competitor’s website receives. Likewise, if you have MozBar installed in your Chrome browser you can do this kind of research as your scroll through the Internet. Once you have a list of competitors you’d like to research, take a look at SEMRush. This tool allows you to identify competitors’ keywords efficiently and you can also search by a specific keyword. If you’ve got your competitor’s URL, you can also just enter this into SEMRush to get a handy list of keyword suggestions. This can also be filtered down by countries if you’d like to get super specific. Like most of the tools we’ve listed here, SEMRush offers a 7-day free trial for you to get to grips with it. SpyFu is another popular tool for finding competitors’ keywords. It’s solely dedicated to competitive intelligence research, unlike some of the other tools. When you enter a competitor’s URL you’ll get a list of their organic and paid-for keywords (if relevant). Handily, SpyFu offers a free version of its service, so if you’re just dipping your toes in the water of competitive research, the free version should suffice for you. We couldn’t talk about keywords without AdWords cropping up somewhere. You might be used to using AdWords Auction Insights for planning a Google ad campaign. However, it has an often overlooked function that can tell you who the top-performing companies in your industry are, and what they are ranking for. To do this, simply navigate to any active AdWords campaign and select ‘All’ under the ‘Auction Insights’ tab. Hey, presto! 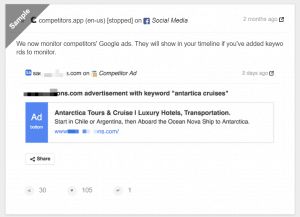 A whole bunch of keywords and competitors should pop up! Here’s a freebie for you. If you go to your competitor’s website and click on View – Page Source (or Show Page Source in some browsers), or right-click and select Page Source, you’ll see the HTML source code of the website. Some (or all of it) might look like jibberish to you, but that’s okay. All you need to look for is any words listed after the title tag, meta description tag and (if applicable) the keywords tag. These are the keywords your competitor is using on their website. Usually, the description tag is the richest source of keywords, but you should also pay particular attention to the title tag as Google gives this priority. As you can see, there are many free and efficient ways to discover your competitors’ keywords. They say that imitation is the greatest form of flattery, and when it comes to your keyword strategy you should definitely follow the leading websites in your field. Do your keyword research right and it’ll open the door to a whole bunch of new business. Competitive intelligence (CI) is a term you may have come across before. Like many industry buzzwords, it isn’t immediately apparent what CI is and how it can be useful to your business. But don’t worry, because we’re going to explain the ins, outs, pros, and cons of CI. Competitive intelligence is a way of collecting actionable information on your business’ competitive environment. 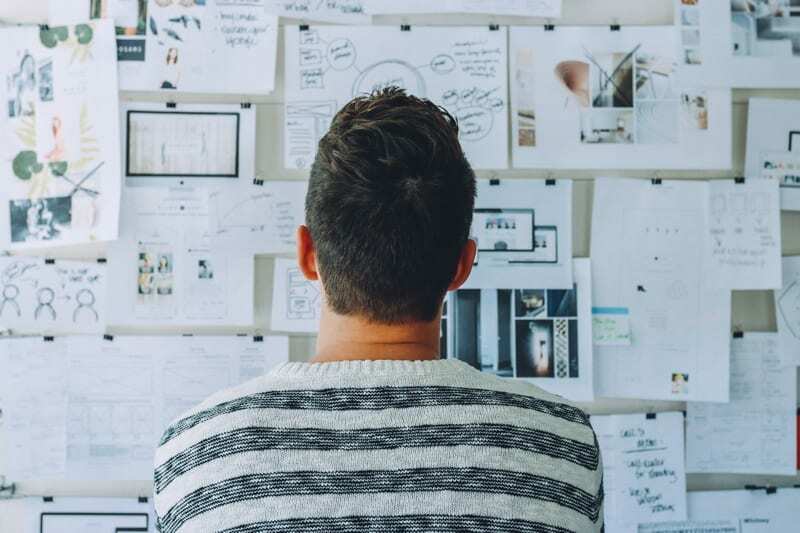 In other words, it’s all of the market research and competitor research that you do to determine how lucrative a particular market is, your sales and marketing strategy, and what other businesses you are competing against. It’s a way for you to predict and prepare for particular business challenges and for you to understand what’s happening in your industry. How is competitive intelligence useful? Doing a bit of CI is helpful for your business in a great many ways. Your business does not exist in a bubble. There are a whole host of external factors that can affect your business on a daily basis. Competitive intelligence is one way to anticipate those factors. Of course, once you know about something that could impact your business, you can monitor it and develop plans to alleviate its effects if needed. The ways in which you go about doing CI can vary depending on your resources and business size. Some companies can dedicate an entire team to undertaking CI whilst some smaller businesses and start-ups might just have one person or even the founder going it alone. In any case, there are a whole host of competitive intelligence software now available which can help speed up the process. Competitive intelligence works by gathering publicly available information on other companies in the industry. That means you won’t need to go rifling through a competitor’s filing cabinet in the dead of night. Everything you need for your CI is out there, in the world, waiting for you to find it. It can include legal information, marketing materials, and company documentation. Finding it can be the hard part. Of course, you can have a quick Google as a start to your CI activity. However, if you wish to delve deeper then you’re going to have to use some other technology to help you out. Firstly, you’ll need to identify your competitors. We’ve compiled a handy guide (How to identify who your competitors are) to help you with this. Once you know your competition, then you can begin researching their operations, sales, and marketing. Depending on how many resources you can dedicate to your CI, you might wish to rank your competitors so you can dedicate your time to finding out the most about the companies which pose the greatest threat. How you do this is largely up to you and your business objectives. However, one way in which you can do it is by looking at their search engine rankings and SEO. This is especially important if you’re a largely online company. Moz offers a free 30-day trial that offers you information on the search metrics of any company that you visit via the MozBar Chrome plugin. Apart from determining search rankings and SEO, competitive intelligence can also involve you looking at a competitor’s stock marketing performance, marketing materials, patent requests and research papers. What you look at and prioritize again depends on your own business’ needs and objectives. How to use CI for your business? All the information you gather shouldn’t then be left to gather dust on an office bookshelf somewhere. It should be reviewed and used often in your own strategic planning. Looking at how your competitors do stuff can be great inspiration for your own efforts – or at least a starting point. Researching a competitor’s keywords, for example, can help you compile a diverse and effective keyword strategy. Keywords, they’re the crux of any good search marketing campaign. There is almost an art and a science to picking the right keywords. The most basic keyword research starts with Google homepage, where you enter the keywords that you focus on (or sometimes start with just one word). 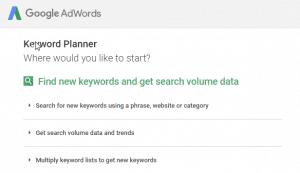 You will get suggested keywords at the bottom of Google Search Results page. One way to really supercharge your keyword strategy, apart from scrolling through recommendations via Google’s Keyword Planner, is to check out your competition. Using your competitors’ keywords for some, ahem, inspiration, is a great way to discover ones that you’ve never used or been recommended before. First things first, if you’re going to be researching your competitors’ keywords you’re going to have to find yourself some competitors! Check out our handy blog here, on how to identify your competition. After you know who they are, you’re going to have to find the highest ranking competitors who are worth researching. Similarweb is a great tool to determine how much traffic your competitor’s website receives. Likewise, if you have MozBar installed in your Chrome browser you can do this kind of research as your scroll through the Internet.